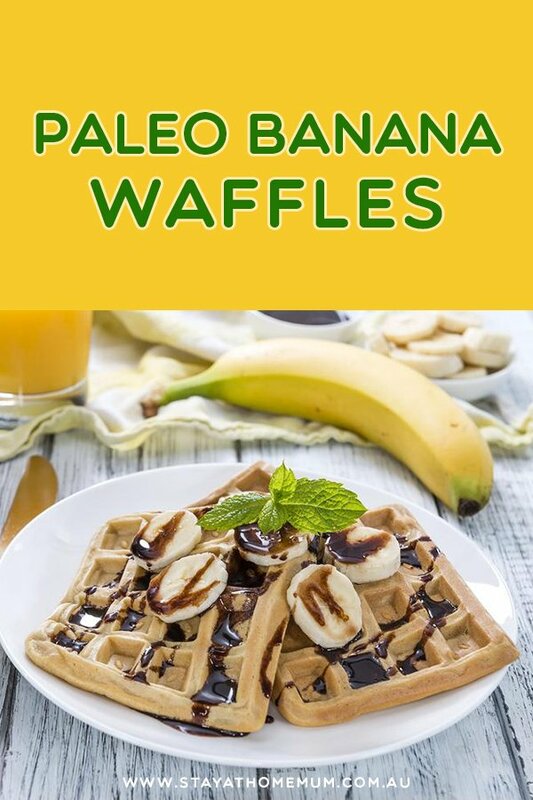 Paleo Banana WafflesDairy Free, Gluten Free and Paleo! I do adore Banana Pancakes and Banana Muffins and all things waffle. Using very ripe bananas will give the waffles a lovely sweetness (no sugar in this recipe!) This recipe is best made fresh to order! Dairy Free, Gluten Free and Paleo! Place all the ingredients in a blender, and pulse until well combined. Heat the waffle iron. Spray with a little canola oil or use some coconut oil to grease it well. Serve with syrup or chocolate sauce. Waffles are best made and served hot.